Thanks so much for the input. Not sure now what I'll do with the old wall hanger. Maybe dismantle and sell the cool old neck on eBay. 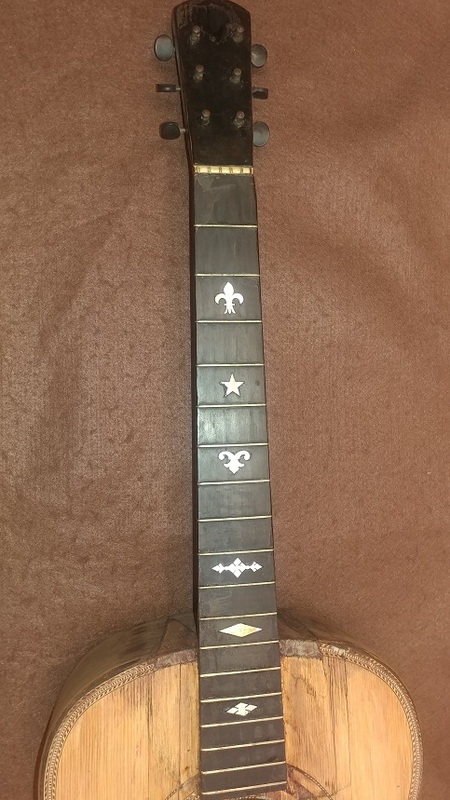 I thought also might be the case with this old guitar but the inlays are similar on the neck to some early Washburns. 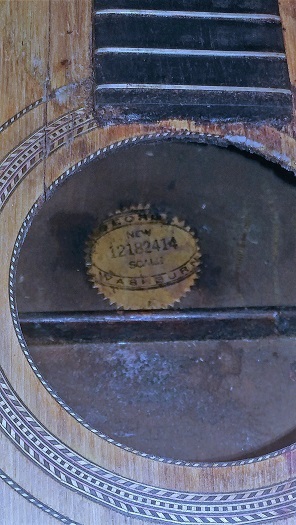 The label says George Washburn (around the outer area top and bottom) New Scale , and the number 12182414 , it looks indicative to the guitar to me. I'm not sure about the head and if there was a label on it or not. It could have been a price sticker on it there too. It was purchase at an estate tag sale. I have a vintage marked Washburn guitar with a rather different head and neck. 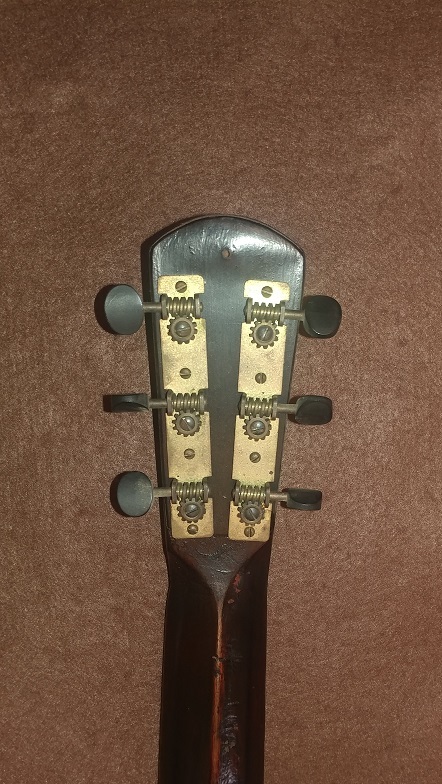 The inlays appear to be of Washburn style but the head is not the cut-out style. I've posted these on my server and here are the links to the photos. If you can help me, thanks in advance. 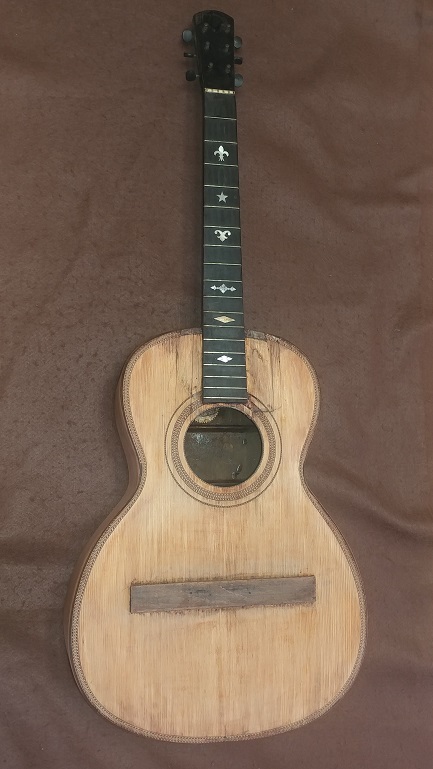 The old guitar has been worked over and needs some serious restoration again. You may need to copy and paste these into your browser. D.W.